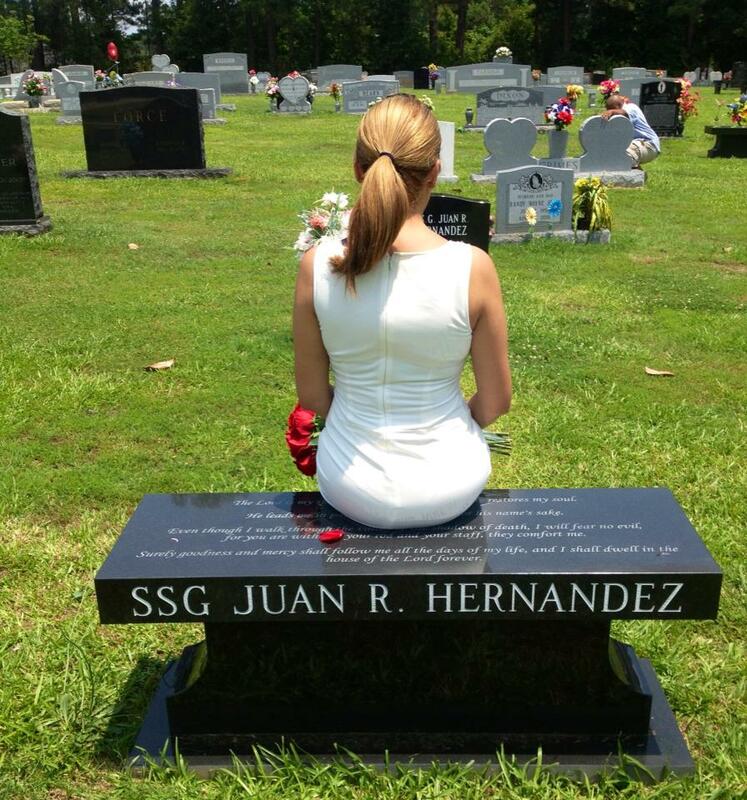 In 2005, Laura Gomez-Clinton learned that her husband, SSG Juan Hernandez, had been injured while serving in Iraq. 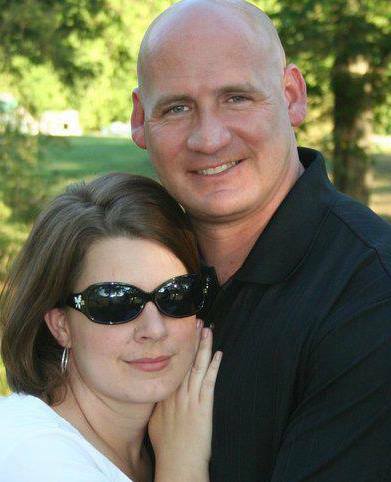 She spent the next two years by his side as he recovered at Walter Reed Army Medical Center. 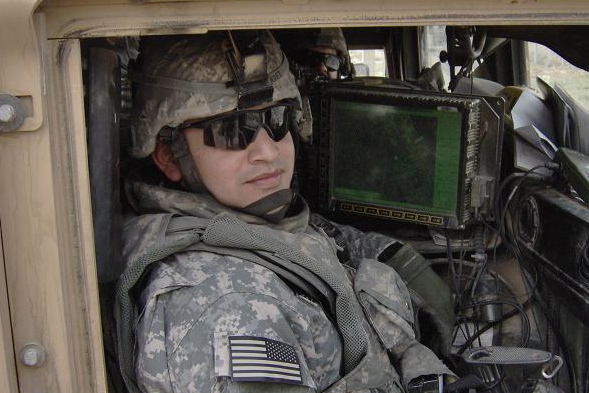 Though his physical wounds eventually healed, SSG Hernandez could not overcome his PTSD. He passed away in October 2009, leaving Laura to raise their children, Abby and Aaron. Laura was suddenly a 26-year-old widow with two young children. She took the time to mourn, but quickly realized that she needed to take control of her life and provide for her children. She thought about the care and attention that her husband had received from the nursing staff at Walter Reed and decided that she, too, could offer that support to others. 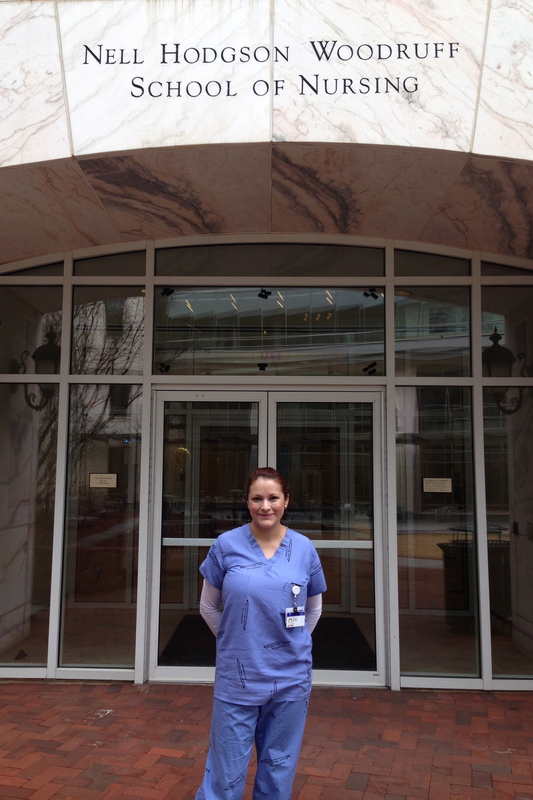 In 2010, Laura enrolled in Emory University. With the assistance of a $3,000 Heartland 4 Heroes/ThanksUSA Scholarship, Laura is just a few months away from completing her Nursing degree. 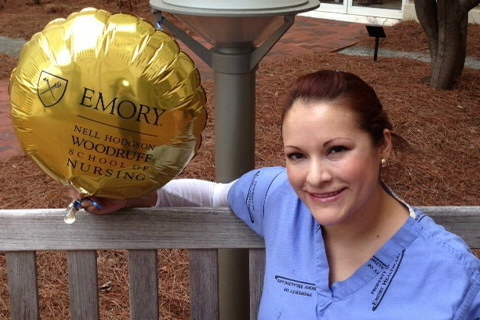 This May, she will graduate from Emory University Nell Hodgson Woodruff School of Nursing with her BSN. 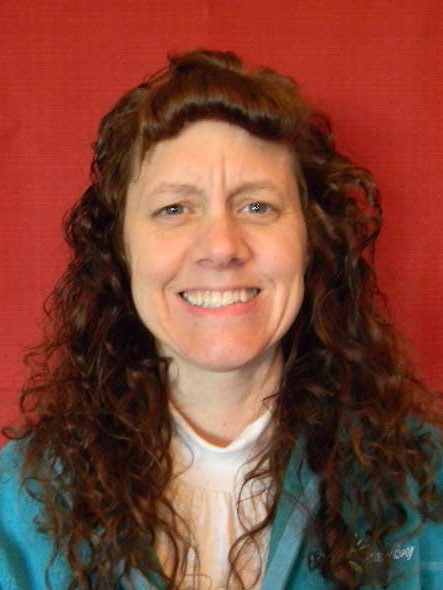 Laura is one of five scholars to receive the Heartland 4 Heroes/ThanksUSA scholarship for the 2013-2014 academic year. Heartland 4 Heroes and ThanksUSA will be holding their 2nd Annual Golf Tournament Fundraiser, in conjunction with Red Cloud Food Services, Inc. on April 7, 2014, at The Governor’s Club in Brentwood, Tennessee. Heartland 4 Heroes/ThanksUSA Scholarships benefit the spouses and children of those serving in the 101st Airborne Division of the U.S. Army located at Fort Campbell, Kentucky. ThanksUSA has helped me fulfill more than my educational goals. During my husbands first deployment to Iraq, I was led to make a career change. I had worked in banking all of my adult life, but my calling was to work in the educational field. ThanksUSA helped support me financially as I attained my degree to become a teacher. This is my second year in the classroom and I have the privelege of substituting for two long-term materninty leaves in the same grade. Actually, the classrooms are next door to each other. Some of the students I am working with this year, I had last school year in ESL and/or Math Intervention, which has been very helpful. At the beginning of this school year, I was disappointed that I had not been hired to be a full-time classroom teacher, but it has worked out in my favor. My husband has recently returmed from the Share Initiative Program in Atlanta, Georgia. We are learning to make adjustments he needs to “really live” with PTSD, TBI and long term back issues. Working in the school system also allows me to be on our daughter, Kiley’s schedule, which I am very grateful for. A way that Kiley and I have found to be able to cope with my husband’s injuries is to serve others. We have always spent time together doing mission projects at home. However over Christmas break, we went on our first international mission trip to Orphanage Emmanuel in Honduras. Not only was it an eye opening experience for a thirteen year old, but it was for me too. I am grateful my husband is recovering from war related illnesses, we have each other, a home and live in a safe country. As my husband continues to improve, my daughter and I are planning to spend more time at the orphanage. This summer, I will volunteer to teach English in the orphanage school. I am currently taking the last college class needed to be a certified ESL (English Second Language) teacher. Someday, I pray that my husband will be able to travel with me to do more international missions and perhaps adopt children. 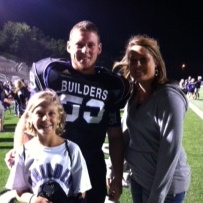 We always wanted more children, but due to deployments and his injuries, we were unable. I believe knowledge is power and having a formal education has fulfilled my dreams of being a teacher, being on our daughter’s schedule, to be home more than I was with my previous employer, and to be able to serve others. I am very thankful for ThanksUSA. It has allowed me to try to become the person that I want to be. Navy dependent Sarah Berg was awarded a $3,000 Stephen Curry/ThanksUSA scholarship for her first year of studies at the University of California: Davis. Although Sarah intends to major in Animal Biology, she will explore a variety of inter-related studies that will prepare her for future humanitarian endeavors. 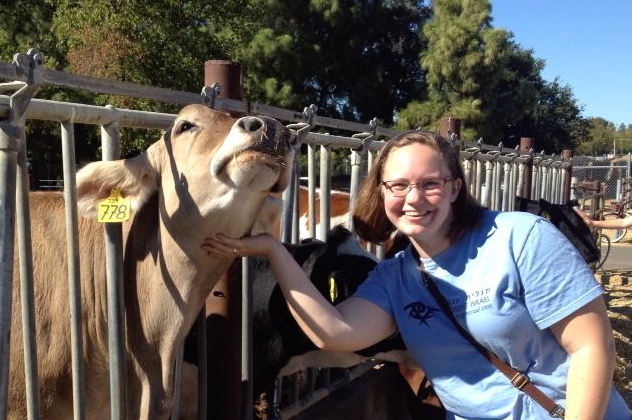 Sarah Berg petting one of the UC Davis milk cows that live behind her dorm. Sarah explained that this gentle Jersey was on a 60-day rotation of not producing milk. When she arrived on campus, Sarah began filling her free time by joining organizations that compliment her studies while helping the local community and campus. She joined the InterVarsity Christian Fellowship, the Sigma Alpha Professional Agricultural Sorority, and became an Aggie Ambassador. As an Aggie Ambassador, Sarah promotes the UC Davis College of Agriculture and Environmental Sciences. One of the highlights of Sarah’s fall term was harvesting olives at UC Davis’s organic olive grove. She explains, “The olives I helped to harvest are now the famous UC Davis Estate Olive Oil.” So famous, that if you visit the UC Davis campus bookstore, you can purchase that olive oil. More recently, Sarah joined the UC Davis Draft Horse and Driving Club. She is excited to share her progress saying, “I know how to drive a horse and buggy, but I don’t even know how to drive a car yet!” She mentioned that tractor driving lessons were on the agenda, so we’ll look forward to that update. Wether she’s studying for exams, helping on a local farm, or encouraging future UC Davis students, Sarah has found a greater appreciation for her father’s military career. “I think all of this hard work has helped me to better understand and appreciate what it must have been like for my dad to work long hours and hard shifts on the submarine.” Her father, Senior Chief Michael Berg, USN (Ret), recently retired after twenty-three years of service. The ThanksUSA team extends our thanks to Senior Chief Berg for his military service. We congratulate Sarah on receipt of her Stephen Curry/ThanksUSA scholarship and we hope that her eagerness for new experiences continues throughout her undergraduate years. Congratulations to ThanksUSA alumni Shandiin Sam on her December graduation! Since 2010, Shandiin was awarded ThanksUSA scholarships totaling $9,000. She earned her Bachelor’s of Science in Microbiology from Arizona State University. 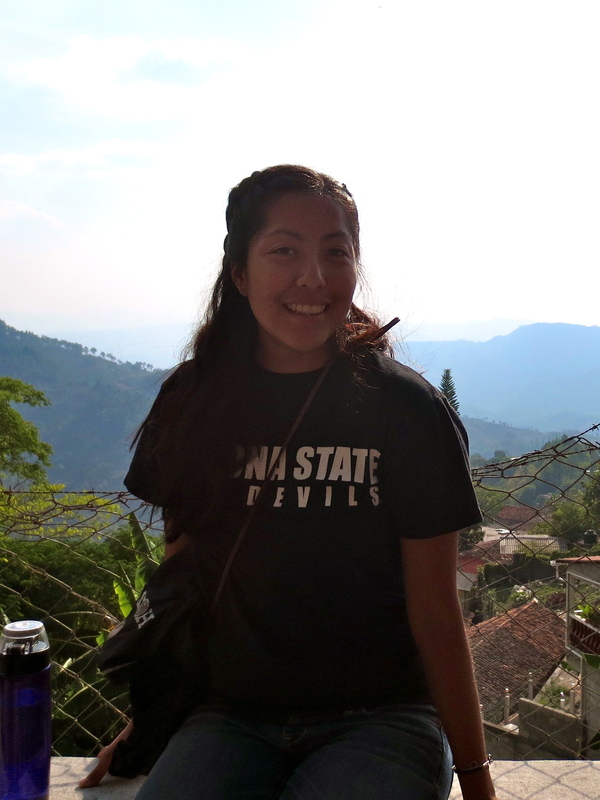 Shandiin had an exciting senior year at ASU, studying abroad in France and volunteering with the student-led health and development organization, Global Brigades. As a member of ASU’s Medical & Dental Brigade, Shandiin travelled to Honduras where she assisted with patient triage, dispensing vitamins, and teaching children how to brush their teeth. Because of diet and lack of basic dental hygiene supplies like toothbrushes and toothpaste, the majority of patients were seen for tooth decay. In the United States, dentists typically attempt to save a tooth with a filling or cap. Shandiin explained that the majority of patients seen by Global Brigades volunteers preferred extraction and dentures because long-term care would be less costly and easier to maintain. With plans to attend medical school and travel the globe helping others, Shandiin will likely have a lifetime of rewarding experiences. She is currently seeking employment as a medical technologist while she prepares for the MCAT. We love to hear from ThanksUSA Alumni and share updates like this! Current and past ThanksUSA scholarship recipients are encouraged to join the ThanksUSA Alumni and Friends Facebook page to connect with fellow scholars and the ThanksUSA team. A Coast Guard spouse and mother of six, Frances was awarded a $3,000 Pershing Square Foundation/ThanksUSA scholarship for her Psychology and Nursing majors. With the end goal of becoming a Nurse Practitioner, Frances is currently enrolled in both Regent University and Maryville University. 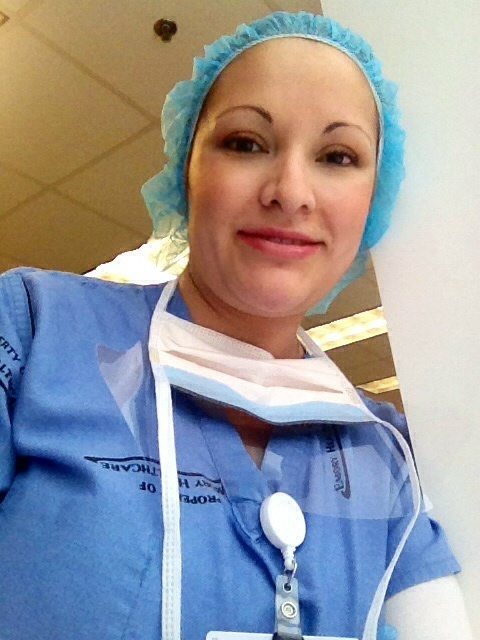 Though a nursing degree was still her goal, family commitments took priority. Her husband, Franz, was beginning an active-duty career in the United States Coast Guard and the couple were starting their family. When she was just three years old, the Karnuths’ eldest daughter, Janelle, was diagnosed with cancer. “This resulted in years of extensive chemotherapy and follow-up appointments.” Being a stay-at-home mom during those years provided the entire family with nurturing stability and consistency. If her teaching success is any indication, Frances will have no problem succeeding as a student. Today, Janelle is a happy, healthy, young woman who is working towards a degree in Creative Arts Therapy. Son Josh is a lab technician at a package testing laboratory (he actually gets to blow things up! 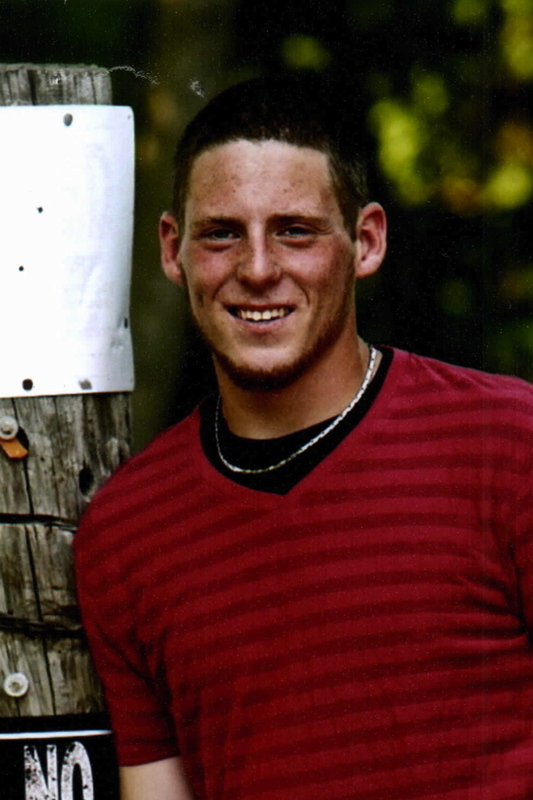 ), while son Tim is a 2nd Lieutenant in the United States Army. Younger children, Josiah, Eric, and Elisha still sit down and do homework at the same time as Mom. “They often see me working just a hard as they do. I learn–that’s my job!” In 2009, Franz retired from the Coast Guard after 22 years of service. He continues to serve our country as a civilian. The ThanksUSA team extends our warmest wishes to all families, military and civilian, this Holiday season. We thank you for contributing to ThanksUSA scholarships in 2013 and encourage you to support the educational goals of military spouses, like Frances, by making your tax-deductible donation to ThanksUSA today.